An Austin American-Statesman Bestseller in Nonfiction. Every once in a while, you find a book that combines leading edge science with news you can use. Our friend and colleague Art Markman has written just such a book. 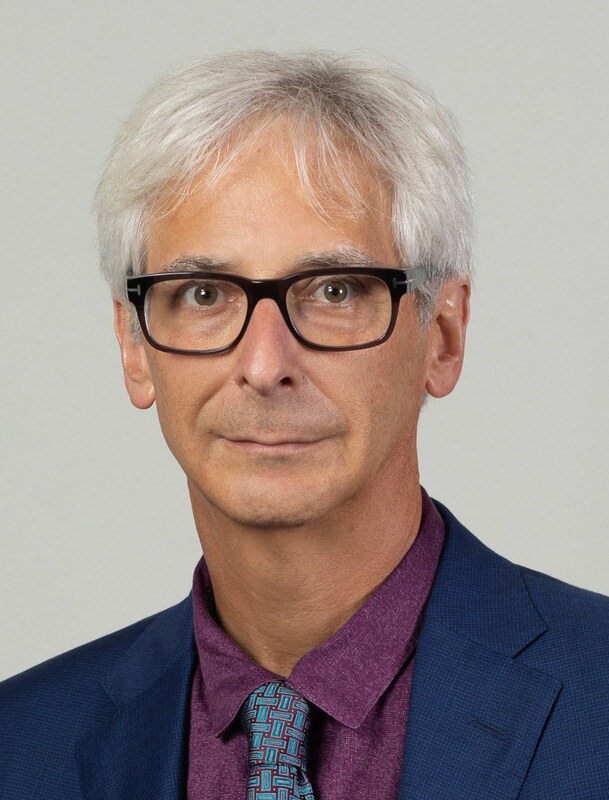 As one of the world’s most respected voices in the field of cognitive science, he has spent the last 20 years as a university professor writing papers for scientific journals and advancing what cognitive science knows about thinking. But, he has also spent time outside of the lab working on real problems. He works with companies to give their employees new ways to think. He even contributed some psychology background to two of the YOU books. In Smart Thinking, Art has taken his command of cognitive science from his own research and from his experience as a journal editor and boiled the discipline down to its essence. He has isolated a formula for thinking more effectively. But, he doesn’t just report the research, he gives it to you in a highly actionable form. The book is filled with specific suggestions and tips that you can use to create new habits to think better starting literally from Chapter 1. Art Markman's "Smart Thinking" has risen to the top of local bestseller lists recently, in part because it's a savvy, practical self-help book. Mr Markman's book is a good read, and while the content may have been explored before by others, he presents it in an accessible and fresh way. Whether it can, as promised, teach you to "get the edge", will be entirely up to you. This book draws on two impressive strengths: an examination of 50 years of interdisciplinary studies, including but going beyond cognitive science, and Dr. Markman’s deep expertise in developing and teaching the skills associated with innovation. This book would be a great addition to your library; it will be the gift I give every college graduate, to friends who are beginning a new career, or to those of any age who feel stuck and unable to be as creative as they believe themselves to be. I could go on, but then, the book is an easy read, though rewards re-reading. Unlike many of these “Think yourself smarter” books, this one has lots of good advice, and feels like it relies on primary sources more than secondary. In fact, I bet I end up reading a lot of what is in this book, taken out of context by “Think yourself successful” gurus. Save time, read it here, at the source. Smart Thinking teaches people how their minds work so they can be more effective performers at work and at life. An essential read for anyone who wants to operate at their best, think outside the box, and accomplish whatever goals they set out to achieve. Smart Thinking not only enriches the literature on human thought--and its foibles--it takes it to the next level, offering clear prescriptions for how to sharpen memory, analysis and creativity in our daily lives. If you want to be more creative, if you want to be an innovator, this is the book for you. Creativity doesn't fall out of the sky. It favors the prepared mind. This book prepares your mind. Why does thinking quickly create a positive mood? Are goals contagious? How do you create a culture of smart thinking? Building on decades of research in cognitive psychology and replete with stories and practical tools, Markman answers these questions and in doing so teaches you how to learn. Once finished, you'll feel smarter. Consider Smart Thinking an owner's manual to the mind. This should be required reading for any student coming to college, new employee starting a career, or anyone who wants to be more thoughtful in life. Part "how-to" and part good science, this is a fun book to read. When you're finished, you will have a better understanding of how toilets flush, why proverbs are helpful, and why multitasking is evil. Art Markman has written a brilliant, engaging book on a subject of paramount importance in every person's life - how to think effectively. After all, what skill is more valuable than being able to learn, reason, and solve problems to the best of your ability? What could give you a bigger advantage in the workplace or in your personal life? In clear, concise (and often quite funny) chapters that offer insight as well as practical guidance, Markman translates the science into plain English, showing us how we can learn more effectively and help others do the same. He describes how we reason and solve problems, and identifies ways to compensate for the biases in our thinking that can hamper our efforts. Markman points out that mental habits are the key to smart thinking, and teaches us how to form the habits we need to make the most of our potential. Smart Thinking is that rarest of books - a pleasure to read, and truly useful to boot. 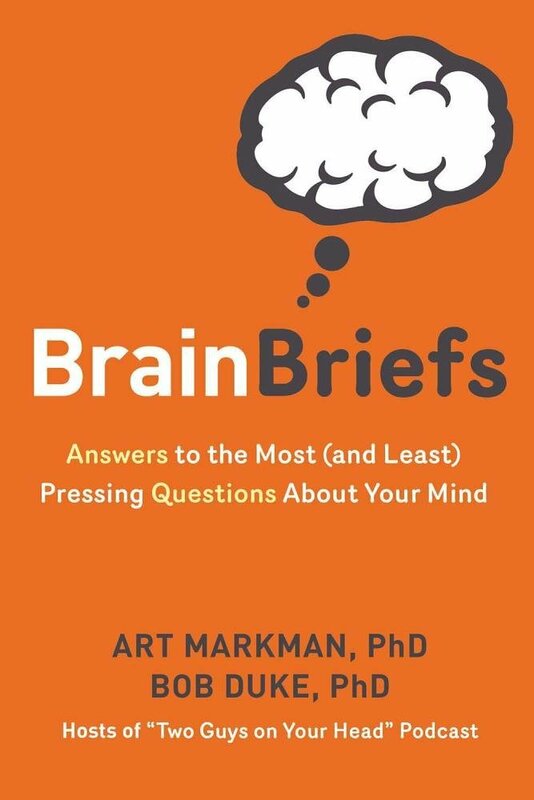 Author Art Markman’s approach to the production of this “manual to improving thinking” is highly readable throughout, succinct and careful not to be too jargon filled. The author has provided a good example of smart thinking in the way he has laid out his book. With chapter summaries, critical concepts highlighted, and thoughtful and thought-provoking exercises to do as you read, the book could be described as smart in its presentation. This is a fascinating book for those who want to think about and remember more useful information. 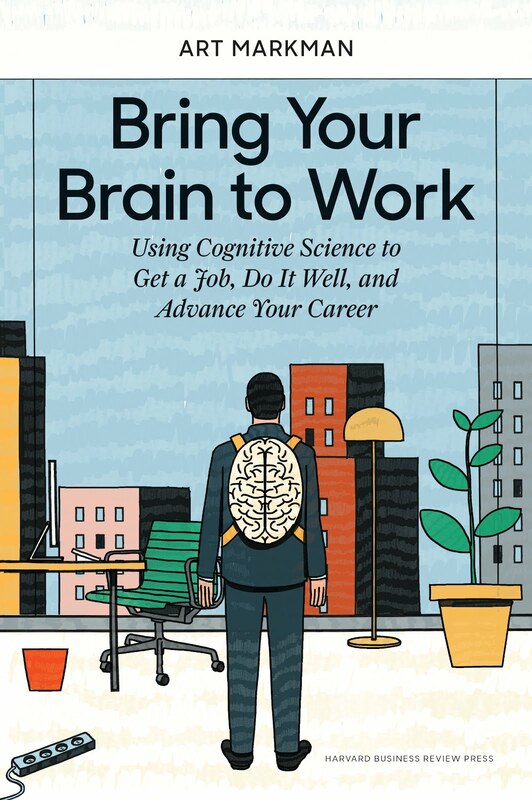 It combines some common-sense advice with the author’s experience in the field of cognitive science. Do you need Smart Thinking? In the modern world, most of us are asked to think for a living, yet few of us have ever been taught much about the way our minds work. Nobody would be asked to build a bridge without learning some physics or to practice medicine without knowing biology. Why should thinking be any different? Smart Thinking provides a background in cognitive science along with specific tips to help you think more effectively. Periodically, I will add a few quizzes to get you thinking about the way you think. See how you do and decide whether you are a good candidate to read Smart Thinking. The central goal of this book is to give you the tools for smarter and more effective thinking. I first brought these insights together in class that I developed to teach executives at companies interested in enhancing the performance of their employees. By bringing these lessons to their employees, these leaders are helping to develop what I call a Culture of Smart. To get started on the road to Smart Thinking, it’s valuable to evaluate your behavior first. I often give the following quiz as part of my class to give everyone a chance to think through some of the behaviors related to Smart Thinking they engage in regularly. This questionnaire comprises a set of behaviors that you may or may not perform. Put a check in the first box next to each item if you think this is something you should do. Put a check in the second box if you think this is something you actually do. Check both boxes if both categories are true. Nobody is going to see this but you, so be honest with yourself. 1. I often check my email on my smart phone before and after meetings to keep up with what is happening. 2. If I run a meeting, I limit the agenda to just a few items. 3. I keep my email program running on my computer to try to deal with new issues right away. 4. I have a few hours of my work day where I do not answer the phone. 5. I routinely teach what I know to other people. 6. When solving problems, I draw on examples from areas of work very different from my own. 7. I usually take the same route to work every day. 8. When I need to solve a difficult new problem, I find a few different ways to describe it. 9. I treat each new problem in its own unique way. 10. When I don't understand a point that someone has made in a meeting, I speak up and ask them to explain their reasoning. 11. I skim new articles in my field as a way to keep up with what is happening. I read them in more detail after I know they are relevant. 12. I frequently talk to people about what they are working on. 13. When I get stuck on a hard problem, I put it aside and move on to something else for a while. 14. I draw lots of diagrams to help me understand problems. 15. To be more productive, I multitask a lot. Before we go on, I want you to do one more thing. Some of the things on this list may have been actions where you were not entirely sure whether you should do them or not. If you see any of those, circle them. When you take a quiz such as this, you usually get a score that involves counting up correct and incorrect answers. Maybe after that, you get some general advice based on the number you got. I want to evaluate the results in a different way. First, look at the two columns of boxes. If you checked the box on the left, did you also check the one on the right? Every time there is a check in one box but not the other, that means there is disconnect between what you think you should do and what you actually are doing. If there is something you believe you should do that you don’t actually do, there might be a mental habit waiting to be formed. If there is something that you actually do that you believe you shouldn’t do, then you may have a bad habit. To help you interpret the results of this quiz, know that items 1, 3, 9, 11, and 15 are all things that you should avoid, because they get in the way of Smart Thinking. The rest are things you should be doing to promote smart thinking. Was there anything on the list that you thought was good but wasn’t (or the other way)? Was there anything on the list that you circled, because you weren’t sure whether it was good or bad? Those mistakes and circles are just examples where learning more psychology is going to help you know the right thing to do. Answer the following questions by circling a number on the scale. Answer these questions only about your behavior during the work day. Low numbers mean you rarely engage in this activity. High numbers mean you often engage in this activity. Add up your scores for Questions 1, 4, 5, and 6. These are the Short-term Draws on your time. Now, add up Questions 2, 3, 7, and 8. If your score for your Short-term Draws is high, and your score for the Long-term Time Savers is low, then you probably do a lot of multitasking. You are probably not being as efficient as you can at work and at home. In Smart Thinking, I provide specific suggestions for helping you to reduce the multitasking you do to help you learn and think.